It is Day 5 of the Blogging from A to Z Challenge and I am thrilled to feature my friend Pratibha Pal, founder of PratsMusings, one of the first go-green blogs in India. Pratibha is a stay at home Mom, who often plays the referee between her two warring twin boys. She loves advocating an eco-friendly life. She is a columnist with one of my favorite blogs, Elephant Journal. Her passions include managing social media for brands, reading, going for long walks, dabbling in photography and writing for blogs. 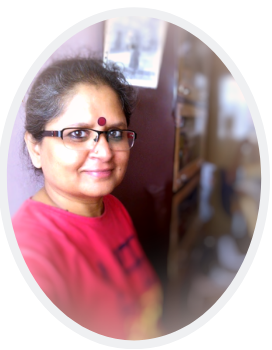 Enrich your life by following Pratibha’s blog. Follow her on Facebook, Google Plus and Twitter. Pratibha and I connected on Facebook and soon discovered we had common interests, not the least of which is our craze for 80’s music. I remember one particular morning when I started posting my playlist on Facebook, Pratibha joined in the we kept the thread going all day with over 200 comments! Others joined in and it became a proper music fest! When I discovered that she is also from my favorite city, Hyderabad, and had lived in the same colony as I had, I was excited! I love Pratibha’s blog and I admire her for her focus. Recently she created a lovely e-book and gave it away on her blog – details at the end of this post. So – today I am laying out The Red Carpet for Pratibha. Pratibha, honored to have you here. The stage is all yours! Eco-living? Eco-conscious life? Green living? Doesn’t that involve too much money? But why an eco-conscious life? I am perfectly fine the way I lead my life! Don’t worry! I asked myself these same questions – probably more! I lived in this misconception, blissfully unaware that just about anyone can adopt a lifestyle that is good for them – and the earth, of course. You didn’t need to be rich to do it; you just needed to be rich in your knowledge and belief. Armed with enough evidence with my searches on the net, I resolved to steer myself towards green living. That was about three and a half years ago. I have made progress, I have cheated and I am still getting there! There is a lot of talk about going green. Organizations, people and governments are encouraging people to live an eco-conscious life. Small changes in your day-to-day life will bring about huge changes that will not just help you leave a cleaner planet but will also benefit you financially and physically. Consider this, would it not be awesome if you were aware of what you were consuming and knowing that it was free from the pesticides and chemicals we have been exposed to all these years? That is exactly what I define as an Eco-conscious life – being aware of what you are doing or indulging in. Trust me it is a good exercise and you can also save money! I love the walks to the ATM or the vegetable and fruit vendor. Honestly the one motivation behind the walk is also the glass of fresh sugar cane juice that I love to drink. I was never keen on plants till I discovered the beauty of gardening. I started growing my own veggies in pots. I know I am eating food that has not been sprinkled with pesticides. I have planted tomatoes, coriander, okra, brinjals and bell pepper in the garden. My boys wake up and head straight to the terrace garden to give me an update or what’s growing and what is not. Small joys of life! You can start shopping at the local farmers market rather than the swanky departmental store for veggies and fruit. They are cheaper and healthier. I like to keep a look out for local markets that have these organic exhibitions and I like to stock on products like spices and other snacks from there. Use your own cloth bags for shopping and don’t opt for plastic bags. If you do opt for the plastic bags, use it for the trash cans at home. I am yet to master this one, but I know I will get there! Adopt eco-friendly alternatives instead of traditional household cleaning products that are laden with ammonia, bleach and other toxin that can cause harm to the environment. Vinegar and baking soda cleans as well as the commercial cleaning products. You can use the vinegar and baking soda mix to clean toilet bowls, sinks, grime in the kitchen. Ditto with lemons! All you need to do is add one part of lemon juice with two parts of mineral water and store it in a spray bottle. Use it to clean glass tops and other smooth surfaces. Isn’t that a better option? I have been using the herbal floor cleaner from Nirvaaha for past three years. It cleans really well, smells awesome, is totally organic and the best part is that I can use the water with which I mopped the floor for my plants. It is the same with a range of detergents I use for the clothes. These are small things I like to follow and in the recent times I have also started making my own scrubs and masks. I am listing some easy recipes that you can make at home. Start with these simple things and you’ll realize how wonderful it is to learn and work on new things. That is how my journey started. You know it is really easy to opt for home-made options to heal yourself before you make a trip to the GP. Cleanse your system with the fantastic CFC (Coriander, Fennel and Cumin) drink. All you need to do is boil a cup of water and add quarter a spoon of these seeds and let it steep for about 10 minutes. Sip this while it is still hot. This can help flush out the toxins from the body and also keep it clear from congestion. When you have a body free from toxins, you will not fall ill often. Exfoliating your body is a good thing to do, Instead of buying a fancy scrub that costs loads of money; you can make one for yourself at your home. Take 2 tablespoons of granulated white sugar and/or brown sugar. Add a pinch of cinnamon powder and clove powder each to the sugar and about a tablespoon of olive oil. Add to this one drop of your favorite essential oil. Mix this well and use it as a body scrub. The oil moisturizes, the sugar exfoliates and the spices warm your body. You can substitute the salt with the sugar if you want. There are lots of ingredients right in your home that help you heal and make you look good. The best part of making your own things is that you are aware of what is in them and you know you are using completely natural remedies in your life. Interested in more recipes that are easy to make and use? Download my DIY ebook that is filled with more awesome stuff! Remember the first step that you take to start living an Eco-conscious life is going to be the hardest, but you will discover that the journey is a beautiful and a simple one. Do you have tips for eco-living? I agree that going green is necessary and is not easy. Small steps will still get you there. Thank you for sharing your friend with us! Hello there. I am also trying to veer away from products filled with chemicals, fillers and words I can’t pronounce. I’ve just started making my own face, body and hair creams using Shea Butter, Coconut Oil and a few other natural ingredients. My next project is to try my own deodorant & then my own makeup. Thanks for sharing. All the best with the challenge! Great tips, most of which are very easy to implement. About plastic bags: we use cloth bags for shopping, but sometimes are forced to use a plastic bag. In this case, we reuse the plastic bag a number of times, then use it for the trash can. To ensure that we don’t collect plastic bags, we normally carry a couple of old plastic bags along with the cloth bags. The plastic bags is where I tend to mess up all the time. I always forget to carry them with me! But I do use them as trash can bags to utilize them well. Sreeja Praveen recently posted…A to Z Random Post # 5 – E – Empathy ! Thanks Sreeja, I had fun writing for Vidya too. Thank you! Its the first step that you take which is the most difficult and then everything else just falls in place. Some very good tips here, Pratibha/Vidya. I particularly like the one about CFC..will definitely be trying that one. I am fortunate to be living at a place where we can regularly get locally grown, organic produce. There is something so nice about having a salad that you know has all the freshest possible pesticide-free greens in it! And thank you Vidya for the kind mention 🙂 That’s so sweet of you! CFC is one of my favourite drinks too. I had loads of it in the winter to flush out the toxins. Thank you Shilpa, following these simple tips can make a huge difference! The body scrub idea is brilliant… Thanks for that Pratibha. I prefer buying grocery from local farmers market. Back home mom grows everything in the garden. Wish I could do that here. Brilliant article. My husband works at a school that is really big into recycling everything, and he brings all of these tips home to me. I think it’s important to be eco-friendly to our world. I started my quest for a sustainable lifestyle nearly fifteen years ago now. I confess there are things I’ve forgotten about, but there are also things I discover people doing, and I wonder why on earth they do it, waste, expense, whatever. The important thing is to have a back to basics check every now and then – thank you for this useful list! I’m pretty good about recycling. Now, if only I could remember to put the dang canvas bags back in the car after I bring stuff in! I’m so harried I’m amazed I don’t leave my brain somewhere and forget I ever had one. The canvas bag is my flaw! I always forget to carry that 🙁 But I am getting there! If all of us did that one bit, we could have a cleaner and a greener planet. That is the only thing that motivates me to steer towards a green living. My contribution is to avoid, as much as possible, buying packaged/branded stuff from the supermarket that I can make at home. Less plastic for the landfill. I need to do much more, though. 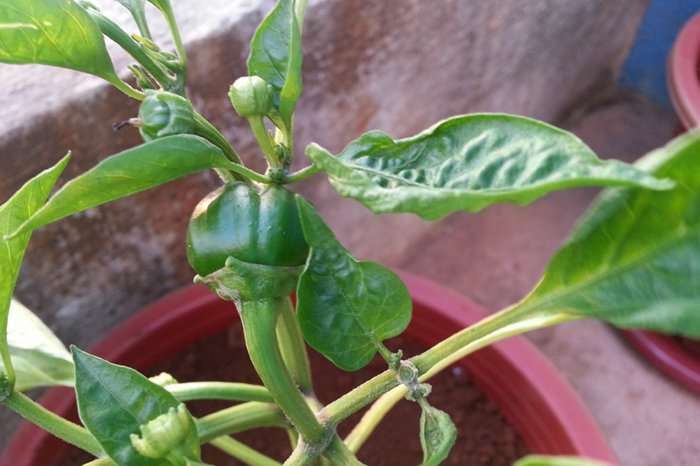 I didn’t know you could grow brinjals and green peppers on a terrace garden. Cool discovery. 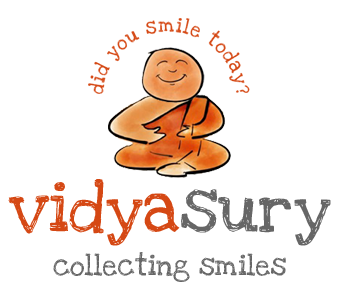 Thanks for the post Pratibha and thanks, Vidya for introducing us to Pratibha’s blog. Welcome Monica! I also have chillies, coriander and tomatoes growing in the pots:) It is fun to do indulge in a bit of gardening. 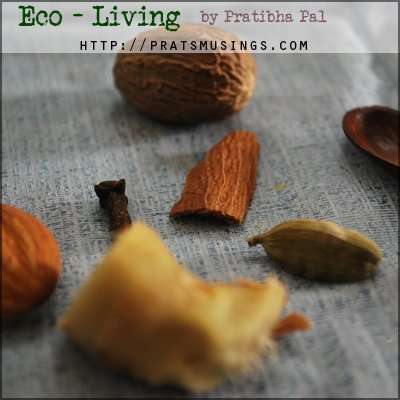 Glad to know about Pratibha and her thoughts on Eco-living! This article gave me a sense that eco-living should actually start from within, as in healing starts inwardly, and then you can extend it to the outer world. It seems logical that way.